A boy has got exactly what he deserved becoming the victim of his own prank. 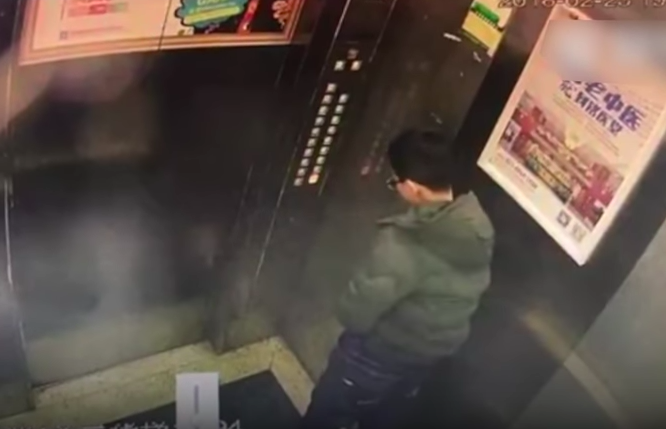 I am not sure why anyone would think it would be fun to urinate over a set of control buttons in a lift, but that is exactly what this kid from Chongqing in south-west China did when he got into an elevator alone last Friday (February 23). 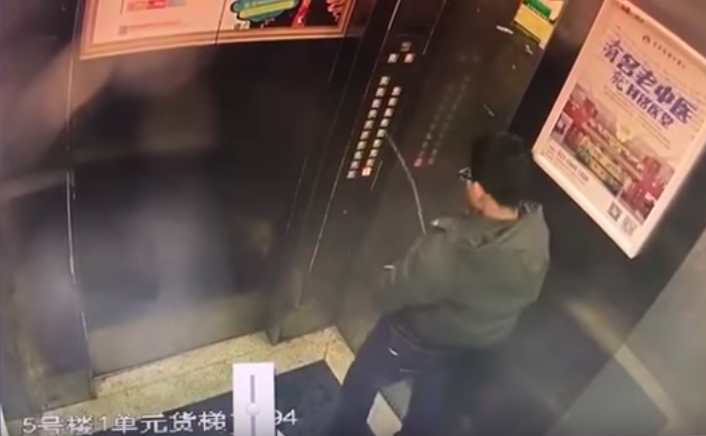 CCTV footage shows the unidentified fool, who looks to be around the age of a young teenager, enter the lift, urinate up and down the control buttons, zip up his pants and then get prepared to leave the elevator. However, when the lift reaches his floor, the doors tease him by opening slightly before shutting quickly leaving the boy in a panic. Jumping up and down clearly freaking out, he starts to panic-press multiple buttons, which are of course covered in his own urine and flickering as they are affected by the damage. Suddenly he is plunged into darkness and is hit by immediate regret that he was ever such an idiot. Let’s be honest though, he had it coming. According to The Strait Times, the embarrassed boy was later rescued by building maintenance staff and was not hurt. It was only after they watched the CCTV footage that they realised he was to blame for the lift malfunctioning in an act of instant karma. The video received a mixed reaction in the comments section as many people just laughed at the boy’s idiocy while others criticised his parents for bringing him up to be such a rascal even saying they should pay for damages. If the elevator had started to fall, although due to security measures this is incredibly unlikely, in order to survive the boy should have attempted to spread his weight out in the lift. According to SciShow, laying on the floor to spread the impact of the shock all across your body is your best chance at survival. If the elevator was moving at an extremely high speed, the weightless effect would make lying on the floor difficult, but they reassure that you should try and do it. In one case back in 1945 when a pilot accidentally crashed his plane into the Empire State Building, a woman was told to enter an elevator to escape but the cords snapped and she fell 75 floors to the basement. The most shocking part, was she survived. This event has plagued the minds of scientists who concluded that it was a mixture of the facts that the elevator was a very closed shaft meaning that it was travelling at such a high speed that it trapped air underneath it, cushioning the fall onto a layer of piled cables (which acted like a spring). 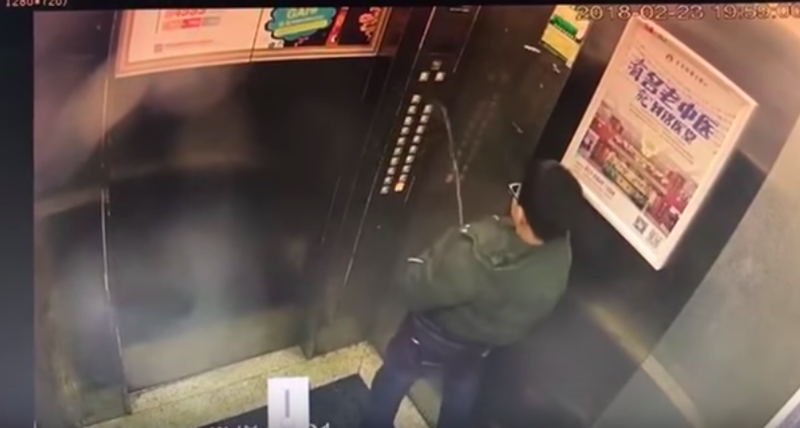 Could You Survive a Falling Elevator?